Dr. Jane Thornton is a Canadian Clinician-Researcher in primary care and sports medicine with a special interest in sport injury prevention, particularly musculoskeletal and female athlete health. A Senior Associate Editor for the British Journal of Sports Medicine, Thornton also serves as an Expert Advisor for the IOC-supported Active Wellbeing Initiative. 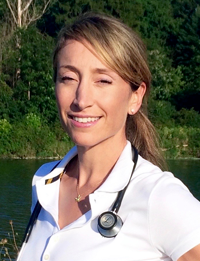 She is a World Champion and Olympic Rower with a passion for medical education surrounding musculoskeletal medicine and physical activity for the prevention and treatment of chronic disease.